There are only two things that can be done with cataracts, tolerate their increasingly annoying effect on your vision or remove them. 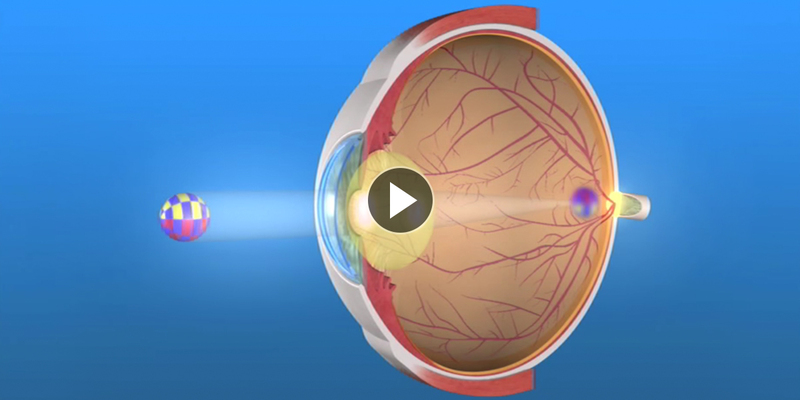 Modern, minimally invasive cataract surgery is incredibly safe. It has been a common practice for decades, but its origins can be traced back to practices of the ancient Egyptians and Romans. The surgeons at Better Vision New Jersey are highly specialized in cataract surgery. Right before the surgery, your eye will be anesthetized to keep you comfortable for the duration of the procedure. Your surgeon will then make a tiny incision, between 2.5-2.75 mm— less than an eighth of an inch—into the eye. A needle inserted into the clouded lens uses ultrasound energy to break up the cataract into an emulsion, which is aspirated or sucked out of the eye. Your surgeon will insert a replacement lens, known as an intraocular lens or IOL, through the incision and secure it into place in the same spot as your old lens. The IOL is made out of foldable plastic or silicone, so it can fit through the incision easily and smoothly. Because the incision is so small, sutures are not typically necessary to close the wound and your eye will be able to heal itself. You are prescribed eye drops to help the healing and protect your eye from any infection. Most of our patients are able to greatly lessen their dependence on glasses or contact lenses after cataract surgery, if not completely rid themselves of their old corrective lenses. At Better Vision New Jersey, we utilize advanced technology intraocular lens implants. We currently offer several different types, each of which may be more suited to the vision condition or lifestyle of certain patients. Come into our office for a consultation with our patient counselor and advocate, who we will help you assess which option is right for you.